Nguyen speaks with students after his informal talk. 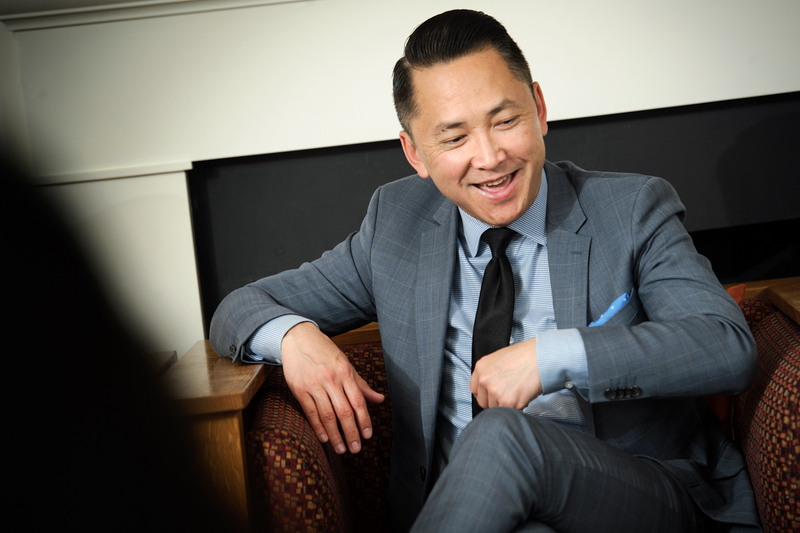 Pulitzer-Prize-winning author of The Sympathizers Viet Thanh Nguyen. 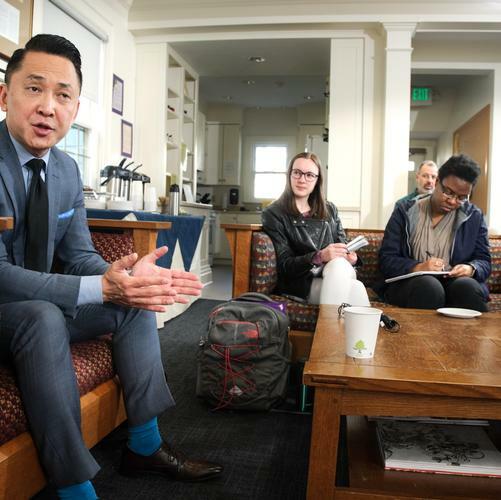 The Hamilton community warmly welcomed Pulitzer Prize-winning author Viet Thanh Nguyen on April 9 as part of the Winton Tolles Lecture Series. 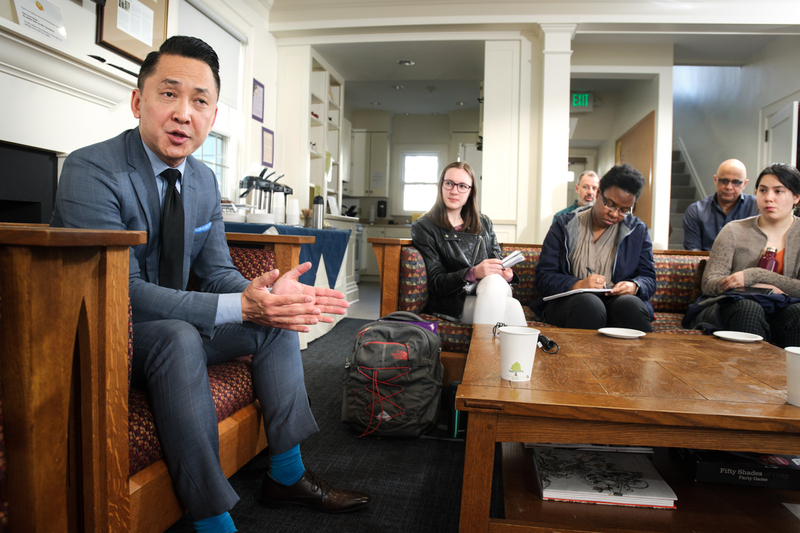 A group of students and faculty members joined Nguyen for dinner in the Philip Spencer House to talk before convening in the Chapel for his presentation titled “Refugee Stories and American Greatness.” Throughout the talk, Nguyen emphasized the importance of understanding the complexity of identity and increasing representation in the field of literature. Originally from Viet Nam, Nguyen came to the United States as a refugee with his family in 1975 after the fall of Saigon when he was only 4-years-old. Problems regarding race, representation, and social conflicts are often highlighted throughout his work, reflecting his life as a Vietnamese-American novelist. With his New York Times best-selling breakthrough novel The Sympathizer, which was awarded the 2016 Pulitzer Prize for Fiction, Nguyen highlighted this intersectionality of identity in America. His other two books, Nothing Ever Dies: Vietnam and the Memory of War and Race and Resistance: Literature and Politics in Asian America, are also explorations of racial and social identities.